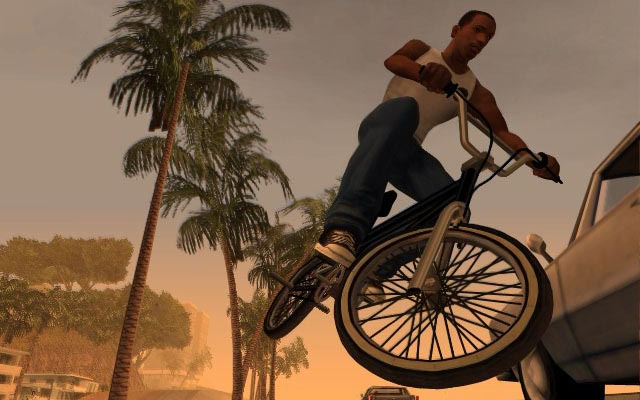 The Official US PlayStation Blog has confirmed that Grand Theft Auto: San Andreas will be coming to PSN's PS2 Classics this week. The store updates on Tuesday (December 11th) for the US and Wednesday (December 12th) for Europe and Asia - although the game has not been confirmed for Europe yet. UPDATE: Rockstar Games says the game will be available worldwide, however, some countries may not be able to download. This was the case with GTA III where Germany, Saudi Arabia, and UAE were not able to obtain the game. Hopefully there will not be a delay as was the case with Grand Theft Auto III this past year. Still no sign of Vice City making an appearance after being rated by the ESRB since January. Thanks to Jamie Milne at the GTA V forums for the heads up!